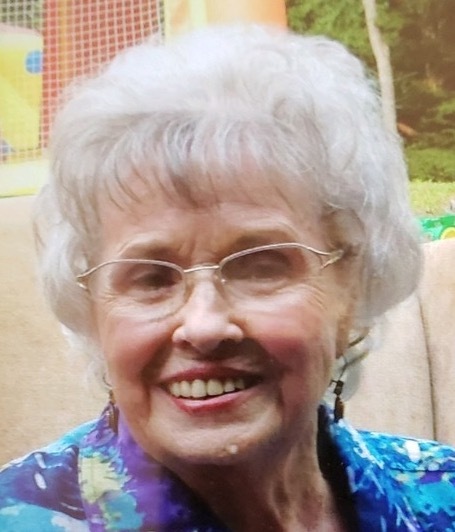 Obituary for Beatrice D Vickers | Todd Funeral Home, Inc.
Beatrice D. Vickers, 90, of Center Township went to be with the Lord Wednesday, January 30, 2019 in Good Samaritan Hospice, Brighton Township. She was born December 22, 1928 and was the daughter of the late James and Dorothy Lawson Scholl. She had been a unit clerk at Rochester Hospital and later scheduled surgeries at Heritage Valley, Beaver until her retirement in 1992. Beatrice was a member of the Monacrest Free Methodist Church of Monaca and enjoyed her monthly lunches with other Medical Center retirees. In addition to her parents, she was preceded in death by her husband James C. “JC” Vickers in 1999, a son Robert Gene Sambol, a brother, James Neil Scholl, a sister-in-law, Shirley Scholl, a brother-in-law, Joseph Cochran, and former husband, James Sambol Jr. Surviving are her sons, James (Pauline) Sambol III, Raccoon Township, Rohn (Joni) Sambol, Ohioville, Joseph (Adriana) Sambol, TX, Randall (Barbara) Sambol, TX, Richard (Lisa) Sambol, Brighton Township, John (Holly) Sambol, Ohioville, a sister, Marian Scholl Cochran, Brighton Township, a sister-in-law, Mea Scholl, Ford City, numerous grandchildren, great-grandchildren, step-grandchildren, nieces, nephews, and cousins. Friends will be received Thursday from 7 to 9, Friday 3 to 5 and 7 to 9 in the Todd Funeral Home, 340 Third Street, Beaver and a funeral service will be conducted Saturday at 10 AM in the Monacrest Free Methodist Church, 995 Elmira Ave., Monaca by Reverend Collene Carney. Interment will follow in Sylvania Hills Memorial Park, Rochester. The family suggests contributions may be made if desired to the Good Samaritan Hospice, 1000 Dutch Ridge Road, Beaver, PA 15009 or the Monacrest Free Methodist Church, 995 Elmira Ave., Monaca, PA 15061.